TOPSNOWSHOP.eu - for almost 10 years the NR. 1 IN SKI HELMETS! 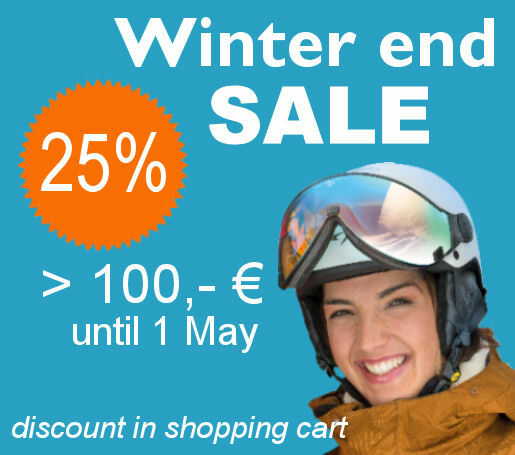 Buy a Ski Helmet for Women, Men and Child is simple online at TopSnowShop.eu. We have more than 200 types of Ski Helmets from Top Brands! Also the Ski helmet with Visor in more than 100 Types, for Women, Men and Child! The Ski helmet with Visor (All-in-One Ski Helmet) is by the many benefits the Ski Helmet of the Future! Also the ski helmet for Eyeglass Wearers, because they keep the Glasses on! Would you like a Ski helmet with Photochromic Visor (☀ /☁/❄) or Polarized Visor? We offer that and for other Weather or Look, we have Exchange Ski helmet Visors in many types. We sell ski helmets from the following TOP Brands: Alpina – Brunotti – Casco – CP – Kask – Mango – Osbę – Slokker and Uvex. In addition to a ski helmet you can also come to us for: ski goggles, ski gloves, exchange ski helmet visor, ski helmet & ski boot bags and nice ski accessories for on the slopes! We do not charge customs VAT for ski products on orders to an address outside of the European Union. However, there might be customs charges that will have to be paid by the customer. We ship a ski helmet with or without visor fast out of Europa for a price less than € 25,-- Our TOP- Service is rated as excellent by our customers!